It’s full! Actually, since I usually carry 2 or 3 pens in my carry case, and leave another pen or two out on my desk at home, it’s more than full. Jinhao 159. My latest purchase, I just got this last night. Like all Jinhaos, less than $10. Kaweco Skyline Sport. 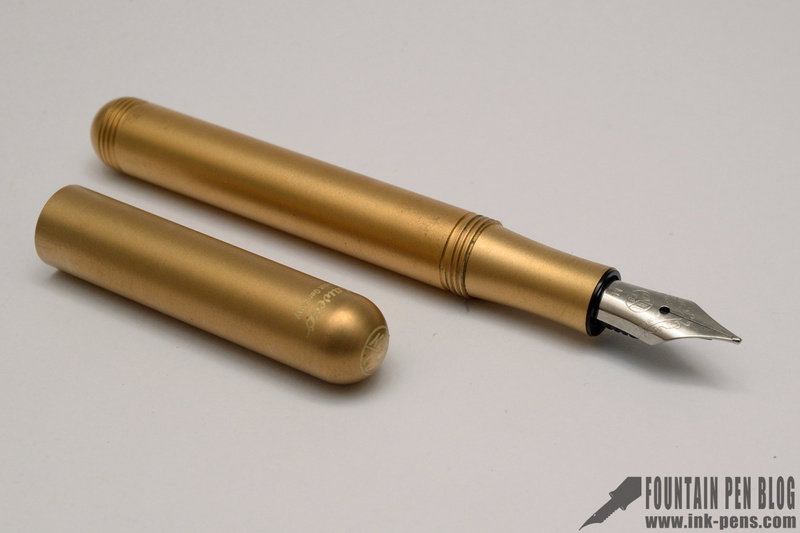 I recently did an eyedropper conversion on this because the dinky little squeeze converter only holds a DROP of ink. It’s a very nice mint green color that never shows up in photographs. 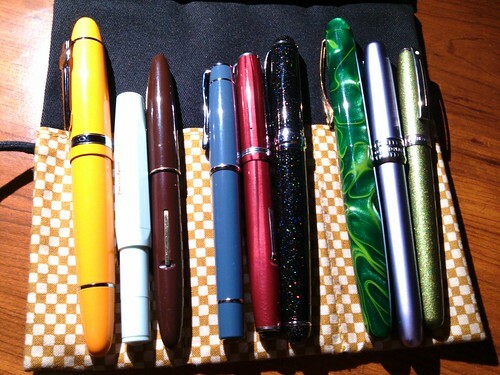 Vintage Sheaffer. This was a gift from a pen friend in Canada. Pilot Prera. I got this to replace my old ivory-colored Prera, which I dropped on our stupid tile floor. This is one of my favorite pens. Esterbrook J. I bought this off another pen friend for cheap. A classic mid-20th century pen. Jinhao X750. I bought this pen specifically to use the new J. Herbin 1670 ink, Emerald of Chivor, in. I use another 1670 ink, Rouge Hematite, in my gold X750. Bexley Imperial. This is my most expensive pen, although I bought it through Massdrop and didn’t pay full retail. Platinum Plaisir. Came with a broken converter so I use cartridges in it. Sheaffer 100. I had this inked with Diamine Ancient Copper for a long time, but recently cleaned it and took it out of rotation for a while. And I just realized that my Kaweco Liliput Brass is nowhere to be found, it’s tiny so it tends to get lost in the wraps.